Racing and track riding are a passion, and having the right equipment for the task is important. Maxxis developed these tires with ATV MX champions Chad Wienen and Joel Hetrick. “Proven by champions”—that’s a bold statement, but in the case of Maxxis’ all-new Razr MX Plus tire, it’s a true one. 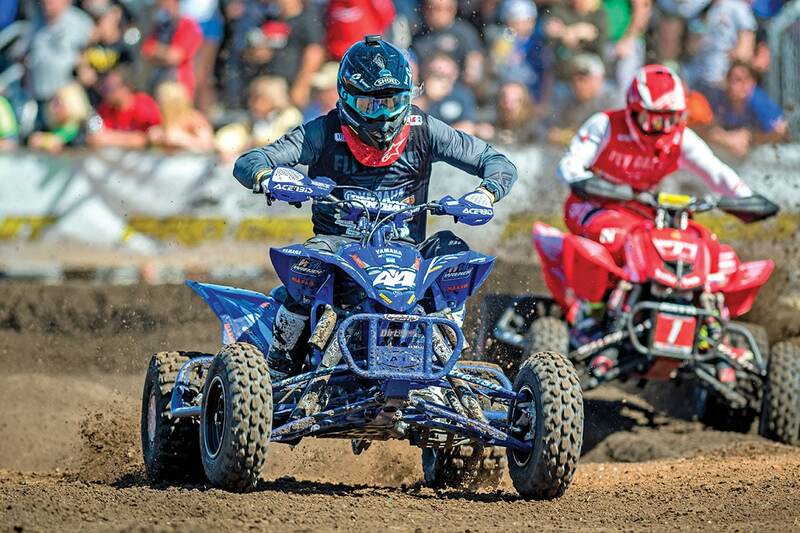 ATV MX champions Joel Hetrick and Chad Wienen currently turn the fastest laps in the country while riding on this rubber, and they remain the front runners of the ATV motocross sport. 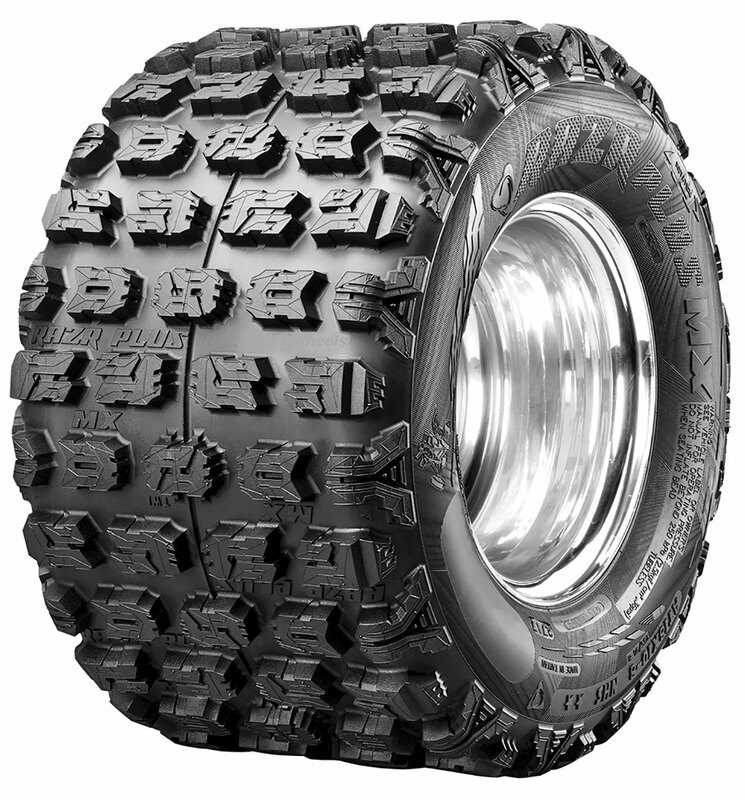 Together they assisted in the development of the Razr MX Plus tires. While the Razr MX Plus tire shares similar names with Maxxis’ infamous Razr line, it is a standalone tire and doesn’t share all of the characteristics of the other lines. 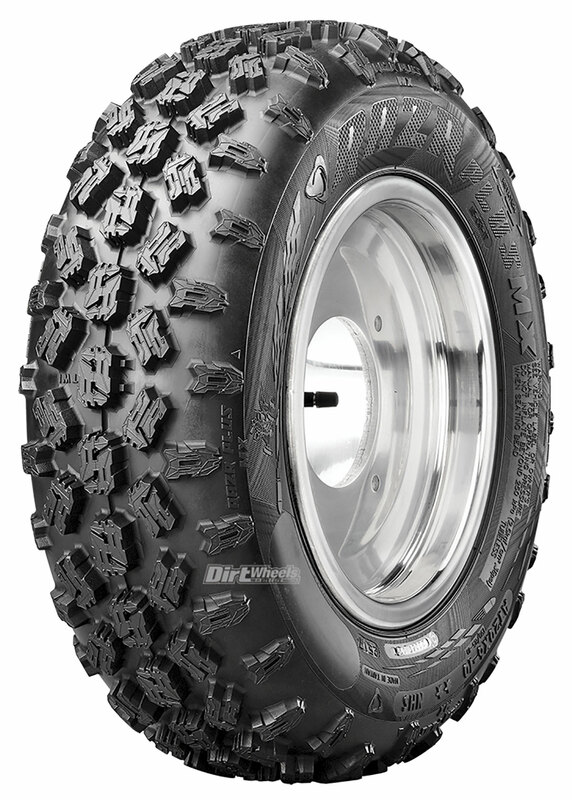 This tire isn’t made to ride trails in the woods, desert or sand; it is designed for motocross. You can only get this four-ply-rated tire setup in one size for the fronts and rears. The 20×6-10 are the fronts, while the rears are 18×10-8. These small sizes let you gain more traction in a shorter distance than standard-size sport quad tires. They also generally slide easier and turn better. The front Razr MX Plus tire is supple and sized specifically for motocross at 20×6-10. The Razr MX Plus tires have unique tread blocks that are very supple yet are stiff in the middle to provide excellent traction. The tire’s tread compound is all new and supposedly puncture-resistant. Maxxis created these tires to be most comfortable on loose loamy tracks up to pretty hardpacked. They won’t do too well on blue groove or soft sand and mud. We wrapped these tires around some rims and set out to get our opinion. Oftentimes we race and practice on motocross tracks that are hardpacked and intermediate terrain. The Razr Plus MXers had plenty of traction ready to go any time we thumbed the throttle to our TRX450R. The Honda we tested the tires on has a minimally built motor, yet the tires make it feel like we gained more power because they hook up. It is true that mud and sand are not the forte of this rubber, but they dig through moist dirt quite well. Maxxis designed this tire to compete only on motocross tracks, and it hooks up very well. The tread won’t last long, but you will have a ton of traction. These Maxxis tires cater to the quad’s turning ability and make it feel crisp on slippery and dry hardpacked surfaces where traction is often minimal. The tread blocks may be stiff in comparison to how supple they are, but the rubber compound doesn’t hold up too well. These are race tires, so traction is a more important goal than tread life. A much stiffer compound would wear longer but sacrifice traction. If you are serious about racing and want an edge over your competition, these tires are right for you. At the moment you can only get them from Maxxis support trucks and through MTA and Tucker Rocky dealers. The fronts cost $111 each and the rears $128 apiece. Go to www.maxxis.com to find out about Maxxis’ great ATV and UTV tires.